Script Out Passages: The Genocidal Texts of the Bible. Hespeler, 27 September, 2015 © Scott McAndless 1 Samuel 15:1-21, Psalm 137, Colossians 1:15-20 I have been talking about what I call Script Out® passages for a few weeks now – passages from the Bible that we like to ignore or pretend like they aren’t there at all. It is something that we often do because a passage makes us feel uncomfortable. And I’ve been thinking this week, that there is a certain power in discomfort. 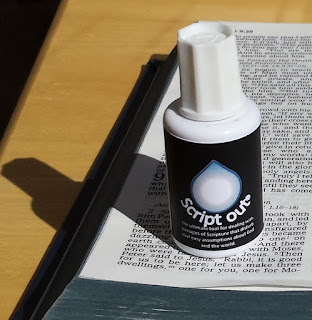 Script Out Passages: "Slaves, obey your earthly masters." Script Out Passages: "You always have to poor with you." 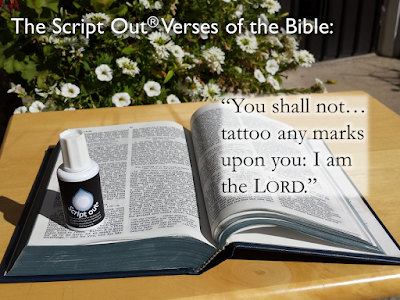 The Script Out Verses of the Bible: "You shall not tattoo any marks upon you: I am the Lord."